There's something soothing and relaxing about a fish pond in your back garden where fish and plants provide a soothing backdrop to your quiet time! Pond fish and Koi carp foods are however, a surprisingly tricky art to master, so let's understand how to look after your prized fish in the most satisfying way! 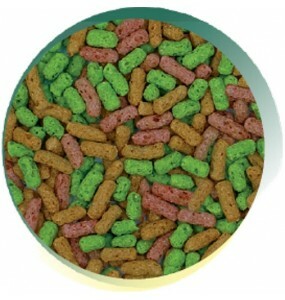 Keep your pond fish in the best of health with Happy Pets' fish foods! We aim to be your pond fish food suppliers of choice throughout the UK! Feeding fish in a pond is rather different to feeding mammals and reptiles! 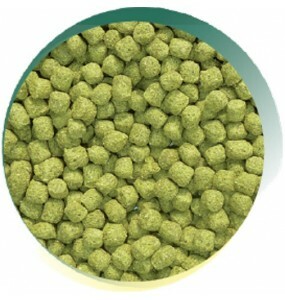 If you just sprinkle a few pellets and walk away, your fish will only eat what they need there and then! If you have overdone it, the fish will ignore what's left over and that excess food stays in the pond, breaks down and starts to insidiously ruin your pond's water quality! This happens in a couple of important ways. 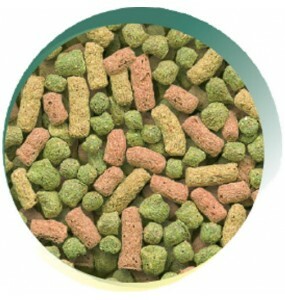 Firstly the fishes food remains raise nutrient levels in the water, which promotes the growth of algae. The water will also become discoloured, start to pong and attract nuisance insects. That creates unnecessary maintenance work for you as food starts to clog pond filters and circulation pump intakes. Fish don't naturally over eat, the problem comes from fish owners overfeeding. Ongoing overfeeding can lead to deadly water conditions for your fish. A little understanding about good feeding practices can save you money, stress and disappointment! 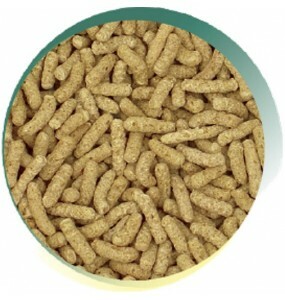 The fish foods available are nutritious complete foods for all species of fish. Individual componen.. 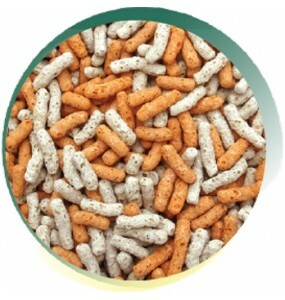 Nutritious Koi sticks for all types of Koi.Analytical ConstituentsCrude Protein 30%, Crude Oils and .. Nutritious light pond sticks for healthy colourful fish. Helps support a healthy immune system.Analy..
A tricolour blend of ultra-light, low-waste pond sticks suitable for feeding all pond fish.Analytica..
A mid-range density, dual colour blend of floating pond sticks for all pond fish.Analytical Constitu..
A high protein, colour enhancing growth food for all Koi and pond fish.Analytical ConstituentsCrude .. Nutritious pond sticks for all fish.Analytical ConstituentsCrude Protein 23%, Crude Oils and Fats 3%.. Complete nutritious foods for all fish.Analytical ConstituentsCrude Protein 30%, Crude Oils and Fats..
A highly digestible, low-waste pond food for feeding all pond fish at low temperature.Analytical Con.. Some ideas & tips promoting how best to give out food for fish in ponds so that you have a lively, healthy mini eco-system and avoid the disappointment of a dying polluted pond! Take your time when feeding your pond fish. Don't just walk away when you've dropped the pellets or sticks in. Feeding time should be a chance enjoy and connect with your fish! It also gives you the opportunity to monitor their health. Small portions is the rule of thumb here! Watch whether the fish clear all of the first portion. and only offer another small portion when they have got rid of all of the first lot. Rinse and repeat till their interest in feeding seems to be slowing down. Don't double feed your fish before going away, as the fish won't be tuned in to your holiday or work plans! They won't eat twice as much to tide them over! Pre-arrange the food portions for any stand-in fish feeder – human or automated - but make smaller portions than you would feed them yourself! You will see far fewer problems in slightly hungry fish than for over-fed fish in a rapidly deteriorating pond! Fish in outdoor ponds respond to the seasons and will eat different amounts of food depending on the time of year. This is mainly due to temperature changes. In temperate latitudes, your fish will not not be able to digest the food once the temperature drops below about 100c and this can create health problems and pollute the water if you continue to feed. Pond sticks are an excellent way to feed and monitor the health of you pond fish. 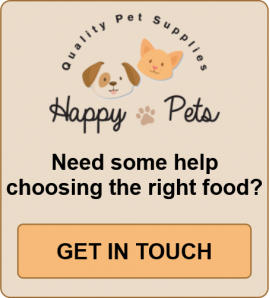 All of Happy Pets pond fish food stick products are carefully blended from a range of top class ingredients to provide all the basic bulk nutrients, vitamins and trace elements your fish need for a healthy balanced diet. Another benefit is that they are a visible floating food that will bring most of your fish to the surface. As they soften and break up they make it easy for the fish to ingest the food and they produce very little waste helping to keep the water clean and clear. Our range of Pond Sticks, Koi Sticks, Pond Sticks Blend and Oranges & Cream Pond Sticks will ensure a healthy fish population in your pond. 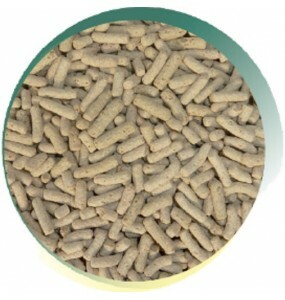 Pond pellets fish food are better for larger pond fish. 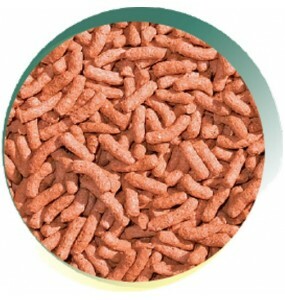 Happy Pets supply standard Pond Pellets and Winter Wheatgerm Pond Pellets meet the dietary needs of different species and different times of year. 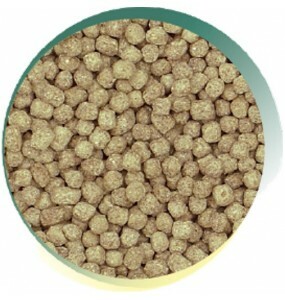 The wheatgerm and mix food options are most suitable to spring and autumn. Pond Sticks are the complete pond foods for all outdoor fish. This is an ideal feed for summer months when fish are more active and when growth actually takes place. 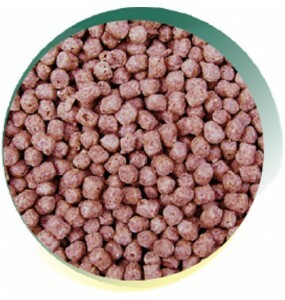 A basic blend of high quality nutrients at a budget price without sacrificing your fishes' well-being.